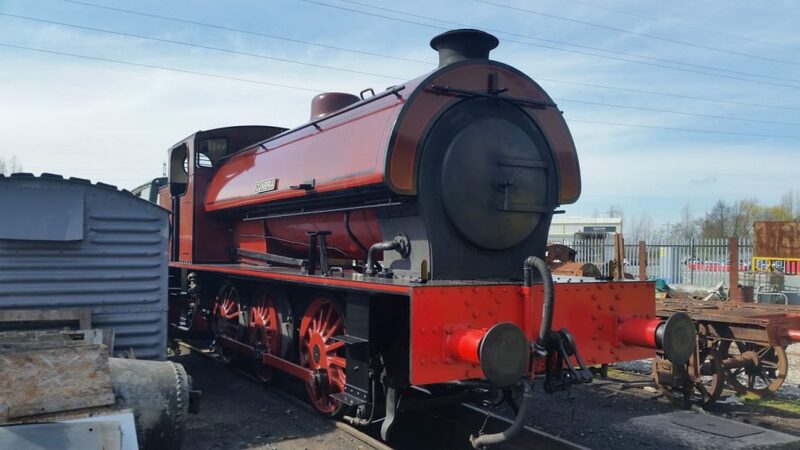 The main centre of activity this week has once again been the Trust’s ‘Austerity’ 0-6-0ST Cumbria as members have expedited the completion of the remainder of the winter maintenance programme. The key event on Wednesday was the task of re-installing the ‘J’ pipe and regulator valves. 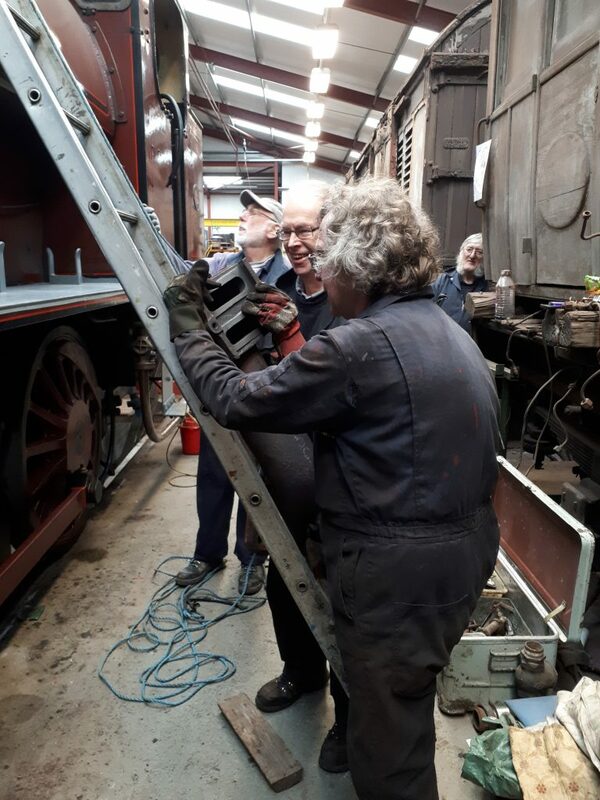 The photo shows John and Ade in the process of pushing the extremely heavy ‘J’ pipe rung by rung up a ladder whilst Phil Bell hauls on the safety rope to prevent it from dropping back down the ladder. It was a little unconventional, but was deemed to be the safest method – and what’s more, it worked. 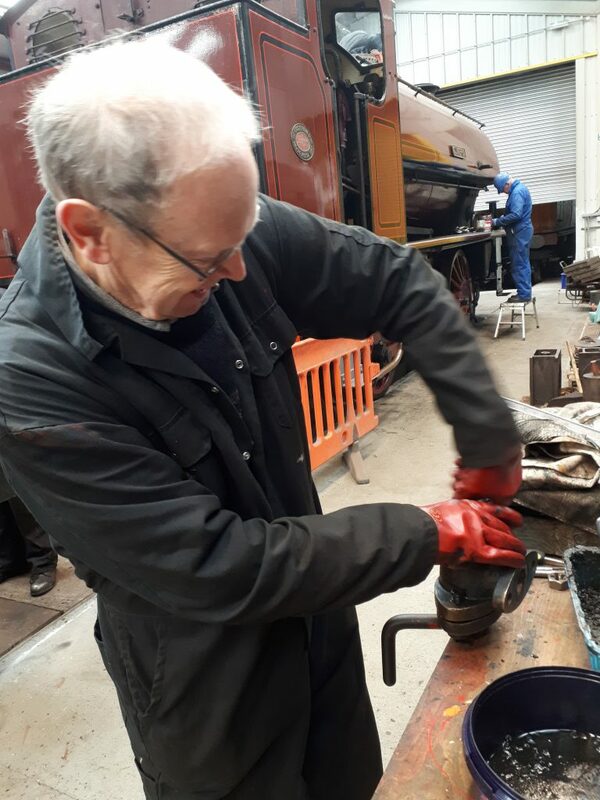 Matt Jervis was on top of the saddle tank to receive the ‘J’ pipe and secure it back on to the main steam pipe. By the end of Wednesday all was ready for the dome cover to be re-fitted, which was achieved on Friday. Alan tackled the job of re-fitting the regulator stuffing box on Friday and John Dixon had completed the servicing of the water valves. Phil Bell and Roger re-fitted the balance pipe after a through clean. 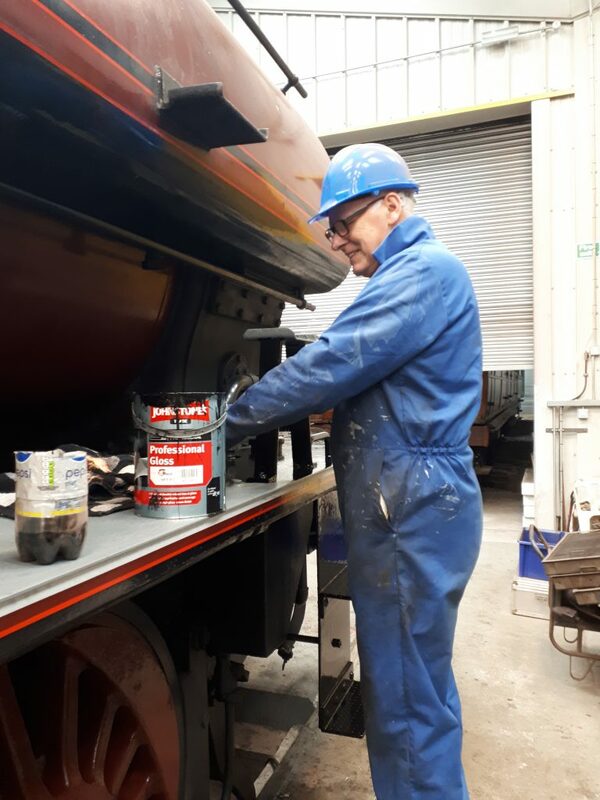 The last job on Friday was the completion by Tim of the fresh coat of black paint on the running board and cab steps that had been started on Wednesday by both Phils. 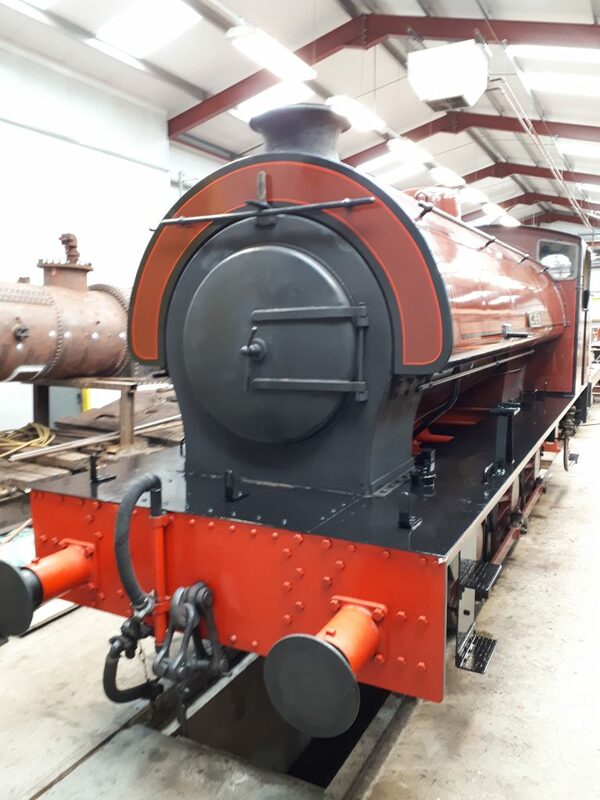 Russ Walker kindly offered to arrange the movement of Cumbria around to the running shed on Saturday morning so that a further wash-out can be carried out this week, the plugs and mudhole doors be re-inserted, and (hopefully) a fire lit. It will be a case of fingers crossed as we check out the results of everyone’s labours over the past three months. 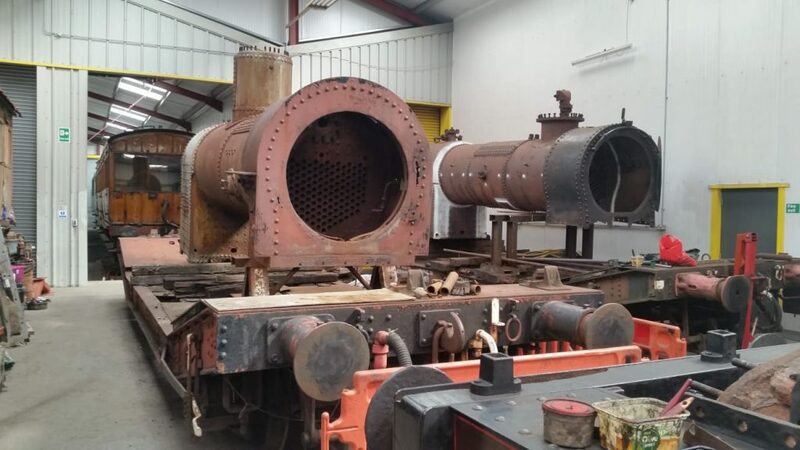 Cumbria has been replaced in the shed by Caliban‘s boiler, which can be seen here with FR 20’s boiler in the background. 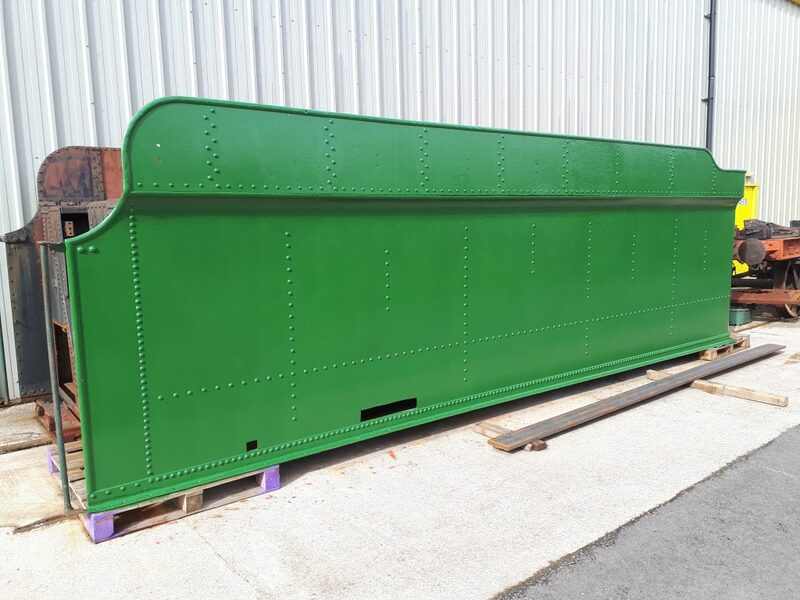 Work has, as ever, continued on Fluff, the former L&NWR platform bench seat, and Wootton Hall‘s tender tank, which has now received a fresh coat of undercoat green on the first side to be cleaned off.